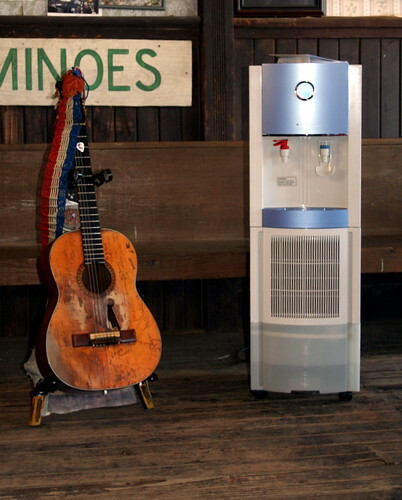 When Willie Nelson kicks back on his ranch near Lake Travis, he sips water from a machine that condenses it right out of the air. Willie Nelson, right, and RunTex owner Paul Carrozza are pitching machines that call pull about 8 gallons of water per day from the atmosphere. Thanks to Derek and Ed Russell, Willie’s partner with Willies Water From Air, in Texas,Â for sending these pictures to share with all of you.Â Â By the way, Laura is Derek’s high school sweetheart; isn’t that sweet? 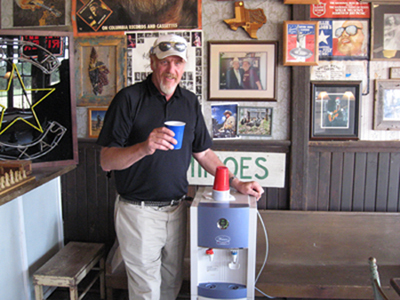 www.WillieNelsonswaterfromair.comÂ or (http://www.aquaductintl.com/.Â Willie’s Water from Air site has a neat little video.commercial there, which I think was filmed at Willie’s golf course outside of Austin, but don’t quote me. Willie’s Water from Air demonstrated their commercial machine, and the smaller, home-sizedÂ version, at Carl’s Corner last week.Â There are tabletop models available, too. The world is becoming aware that it desperately needs a solution to generate and supply a new source of clean drinking water. Atmospheric Water Generators (AWGs) are that solution. Wataire International will be the product and market leader which supplies them. AWGs are a new application of a well-known principle and an existing technology. They work by converting humidity in the air to water. The air entering an AWG is filtered so that only clean air passes across the cold surface of the machine’s coil. Subsequent filtration and ultraviolet (UV) treatment ensures that the drinking water is bacteria and virus free. AWGs work using exactly the same principle as a dehumidifier â€“ except that the water is collected and stored rather than simply evacuated. The key challenge is in the filtering and storing of the collected water. the current worldview regarding â€œnatural resourcesâ€ and safe, pure drinking water: the single most essential element for survival to every human being on the surface of our planet. That’s all it took. Just 12 short words, but when the legendary Willie Nelson himself asks for a favor, who is going to say no? Certainly not Les Barber. A friend and business associate of Derek Miller and Willie Nelson, Les answered the call to aid by putting his vast network of contacts and tremendous powers of schmoozing (and believe me, the man can schmooze with the best of ’em) to good use. He started a chain reaction of relief efforts by appealing to everyone he knows (which is apparently…well everyone) to join the desperately needed relief efforts for the people of Myanmar. Organizations and people that that have jumped on board so far include Willie Nelson’s Water from Air and Wataire International, Da Kine Natural Spring Water, Media eBlast, Samaritan’s Purse and of course, Willie Nelson, Derek Miller and friends. 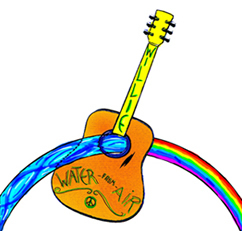 The first project in the works is Willie Nelson and Wataire International’s plan to send “two CI2500 Atmospheric Water Generators to the people of Myanmar. These machines produce a combined output of 1400 gallons of clean, fresh, potable drinking water that can save 2800 lives daily.” These water generators can produce clean, safe drinking water from the atmosphere while simultaneously purifying the air. Rock and Roll Hall of Famer Dave Mason, in Luck, Texas.Â Dave has a website at www.dave-mason.com, if you want to see what he has been up to, hear his latest music,Â find out if his tour is coming to your town.Â Wonder what he was doing in Luck?Â Having fun, among other things. Â And btw, Dave, thanks again for Traffic, a great band, and all your music. Â Follow the linkÂ below to donate toÂ help survivors of the cyclone and other natural disasters rebuild their communities, and their lives. Join the recovery efforts of Willie Nelsons Water From Air to assist cyclone victims in Myanmar. Your donation will help survivors of the cyclone and other natural disasters rebuild their communities, and their lives. Willie Nelson’s Water From Air and Wataire International have teamed up to assist cyclone victims in Myanmar, and you are invited to donate to this cause. Â Your donation to either of these organizations will help survivors of the cyclone and other natural disasters rebuild their communities, and their lives. 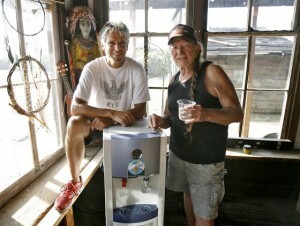 Willie Nelson and Wataire International have teamed up to send two CI2500 Atmospheric Water Generators to the people of Myanmar. These machines produce a combined output of 1400 gallons of clean, fresh, potable drinking water that can save 2800 lives daily. We are also accepting monetary donations for the People of Myanmar. These people are in desperate need of drinking water and food; so please GIVE. We are working non-stop to get the Myanmar Government to let us bring our machines in and help their people. 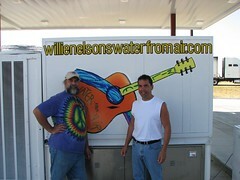 Thank you, Willie Nelson Water from Air and Watairre. 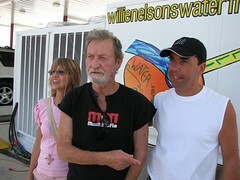 Visit www.WillieNelsonsWaterFromAir.com to learn more about how you can donate funds. 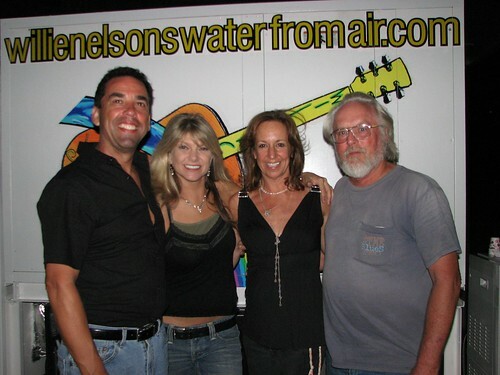 Ray Benson, of Asleep at the Wheel, enjoys a glass of Willie Nelson’s Water From Air. 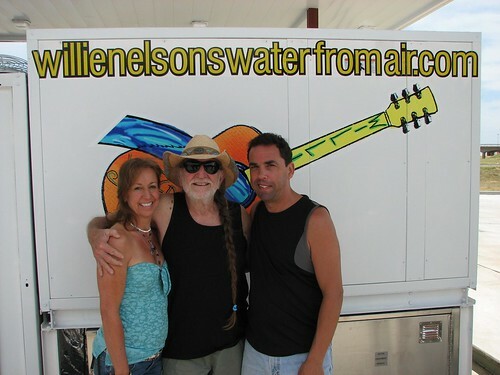 WOODLAND HILLS, Calif.– Wataire International Inc. is pleased to welcome Willie Nelson as an authorized sales agent of the Companyâ€™s Atmospheric Water Generators. 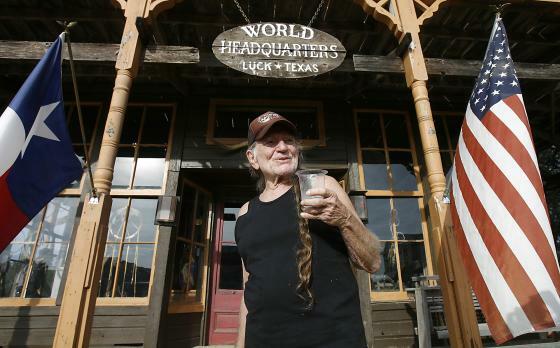 Legendary performer Willie Nelson has formed a company, â€œWillie Nelsonâ€™s Water from Airâ€, with his partner Mr. Ed Russell in Spicewood Texas. As an advocate of green technologies, Mr. Nelson dropped his line of bottled water due to the use of plastics in the bottling process, and has adopted our AWGâ€™s as a safe viable drinking water supply source. 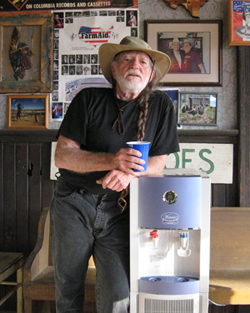 Company CEO Mr. Robert Rosner recently met with Willie Nelson and Ed Russell at his ranch in Texas to review details of the water generator and discuss Mr. Nelsonâ€™s participation in the project. 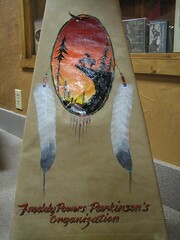 Mr. Rosner stated, â€œIt was an honor to meet with Willie and Ed at Willie’s ranch. I was deeply impressed with Willieâ€™s optimism in this project. I look forward to a great future working relationship with Willie, Ed and their associatesâ€. Also, please refer to http://www.watertechonline.com/news.asp?N_ID=69676 for a recent article on Willies new business venture. 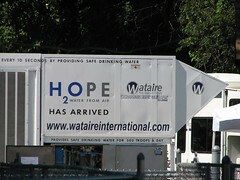 Wataire International, Inc. (WTAR) is an International Company focused on developing and delivering technology-based water generation and purification products worldwide. Musician Willie Nelson has a new business venture: He is a partner in Willie Nelsonâ€™s Water From Air, the distributor of Wataire International atmospheric water generator units. According to Russell, Nelson plans to partner with musician Merle Haggard to open a California-based Wataire distributorship. Russell then will be Wataireâ€™s sole Gulf Coast distributor. Russell said his brother Frank Russell, an environmental engineer based in Rochester will head up the Northeast region distributorship. According to Russell, Nelsonâ€™s interest in the Wataire units is because â€œheâ€™s totally green,” Russell said, â€œHe just feels that the world needs a renewable source of drinking water, seeing how all of itâ€™s disappearing or being contaminated.â€Nelson, who has made $5 million in improvements to a Carlâ€™s Corner, TX-based truck stopÂ is installing a commercial-sized atmospheric water generator unit and other cooler-sized units throughout the building. The units will be featured during a grand opening celebration in July at the truck stop, Willieâ€™s Place at Carlâ€™s Corner.The units generate water from the atmosphere, pulling moist air through a HEPA filter, and working much the same way a typical dehumidifying unit does, except that the newly generated water is pushed through a sediment filter, pre- and post-carbon filters, an ultrafine filter, and finally ultraviolet (UV) light before it is stored. Wataire International has offices in Delta, British Columbia and Woodland Hills, CA.